Dimensional Letters And Logos From Signs Express Give Your Office The Professional Image Your Clients Will Be Impressed With. 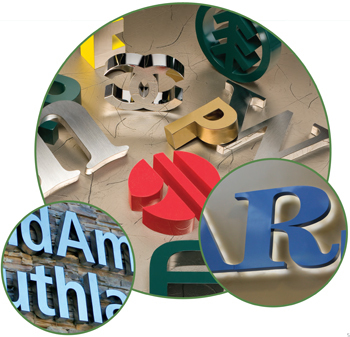 Formed plastic letters are very effective for most local businesses as well as retail chains, office parks and almost anywhere there is a need for dimensional letters. Their inexpensive molds make it simple to customize a font style or logo for the perfect 3D effect. Formed letters also provide the most bang for your buck when talking about the deepest 3D dimension. 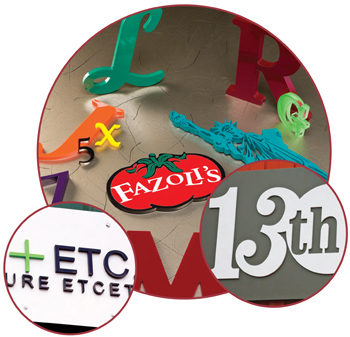 Available in gauges ranging from 1/8″ to 1″ thick, laser cut acrylic letters and logos are one of the most precisely cut dimensional letters offered in the sign industry. The laser cuts and polishes the edges making this product beautiful enough for any application where precision is needed. Fabricated metal letters are perfect for areas where high-end quality fabrication is an absolute must. 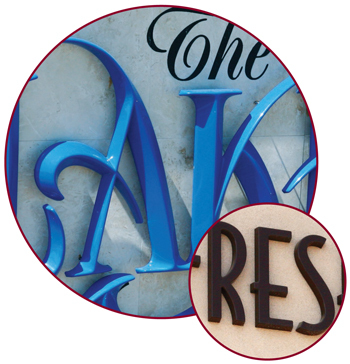 Signs Express offers a wide variety of finishes such as brushed, polished or painted. These fabricated stainless steel letters can be produced to your required depth and size. 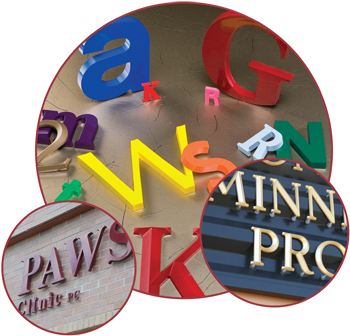 Available in six standard styles and 45 standard colors, minnesota letters are crisp, beautiful letters with clean edges that are easy to install and made from earth-friendly recyclable Cellulose Acetate Butyrate (CAB). More durable than most other plastic letters, they are able to stand up against the tough elements of the outdoors. Whether your plaques are Cast, Architectural, Etched, or those requiring ADA specifications, one thing is for sure, lasting impression is key when Recognizing someone for a job well done, memorialize a loved one, commemorating a historic place, winning an award or a retirement. 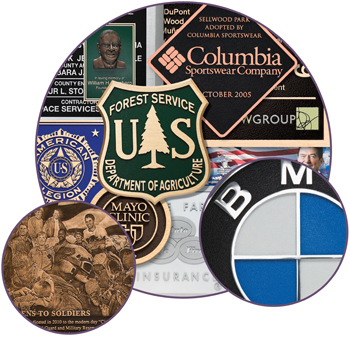 Signs Express offers plaques made of lead and mercury free bronze, high-grade aluminum, lead-free brass and even stainless steel.